Woop, we have a great buzz at Futurice Oslo! Lots of things happening with partnerships, marketing, events, projects, client opportunities and recruitment. And let’s not forget building the friendliest, most passionate culture and spirit that Norway has to offer! We’ve shared the occasional glimpse of our adventure on the Futurice social channels, but that’s not the full story. Here's a short year end summary of where we are six months after everything started! True to the Futurice values, we are all about people, and we’re super excited to tell you that our team has two new awesome designers: Halina Haanæs and Betsy Sherertz. This means that so far we’ve grown by 300% since Pål first jumped on the opportunity last spring. And in January our cozy gang will have a senior fullstack developer joining the team! As we continue to meet more people, we've realized the considerable presence of the diverse designer and developer communities in Oslo. However, what seems to be missing here is a focus on cross-disciplinary teams of designers, developers, data scientists and business, that can share, learn and meet together. 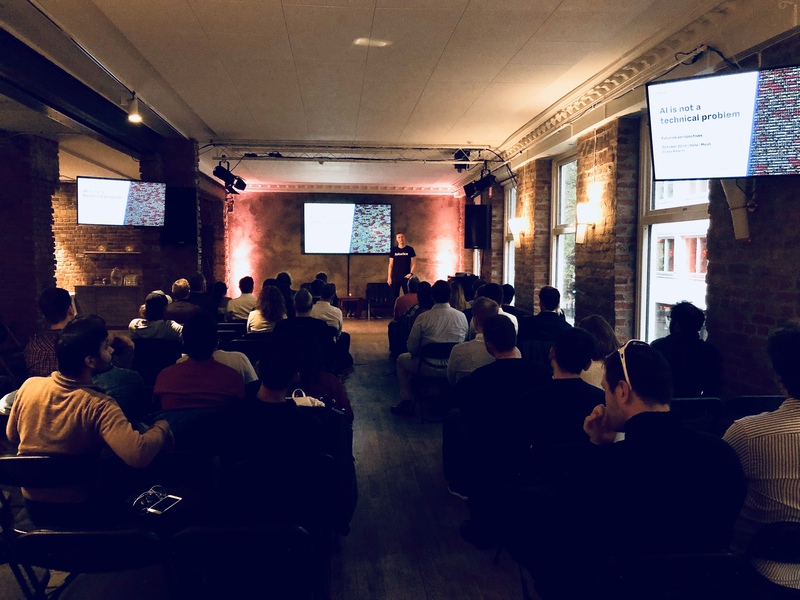 This is what we’ve set about addressing with our FutuTalks meetup events: Introducing topics across disciplines to foster cross-pollination, provide opportunities to meet great talents and share knowledge in a cosy and open environment. During the last few months, we've had dozens of client meetings, proposals, recruitment interviews and the opportunity to collaborate alongside great teams at Oslo Business Forum and TheFactory. While partnering with TheFactory, a fintech accelerator running workshops for both their target audience and the team behind the success, we had the pleasure to help out in workshops and talks with e.g. Nordea, NT6, and Wilhelmsen. Getting to know the market in Norway and learning the various ways in which it is similar to or different from Finland and Sweden has been exciting. Like in the other markets, we’ve learned that people really value our ability to cut straight to the point and focus on their primary goals and motivations for being involved. We’ve also seen that facial recognition, customer journeys, radical customer journey improvements with emerging technology and business process innovation are becoming extremely hot topics here - just as they are across the Nordics. The excitement around blockchain sets Norway apart from Finland and Sweden where limitations of speed, performance and effectiveness have dampened down excitement around this subject. In Norway it’s hugely hyped. Within the tech scene there are some really interesting podcasts. 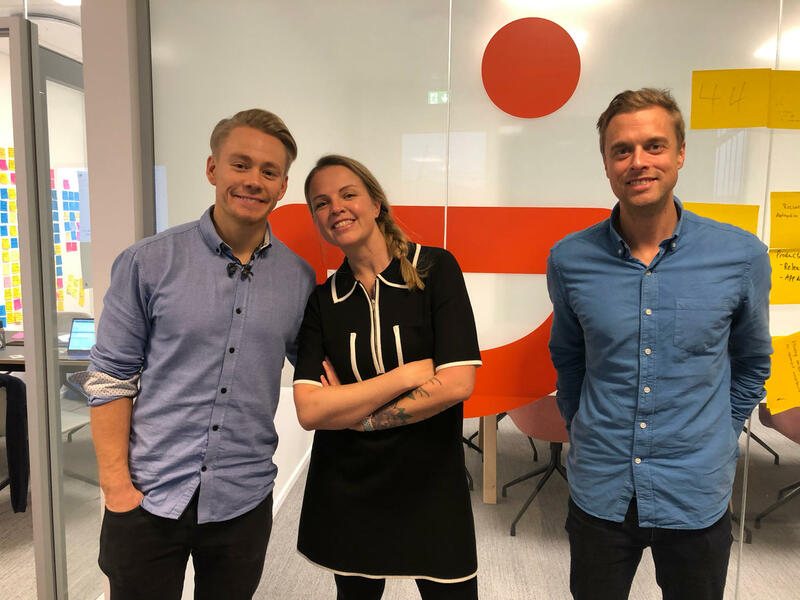 Silvija Seres hosts one of them called Lørn.Tech, and some Futurice emerging tech superstars got a chance to join the show. Listen to what Paul Houghton shared on IOT, and what Aki Kolehmainen discussed with Silvija on AR. And finally, we have landed some really cool projects, too, like Norway’s leading fintech company Vipps, ambitious bathroom refurbishment startup Revita, and we've also helped a home enthusiasts’ product startup Mahoom. With Mahoom, we’ve worked on user testing, clarifying target user groups and service direction based on qualitative research. With Revita, we have investigated bathroom renovators’ customer journey and current web presence in order to help better connect their value promise to the journey, and drive for higher conversion. 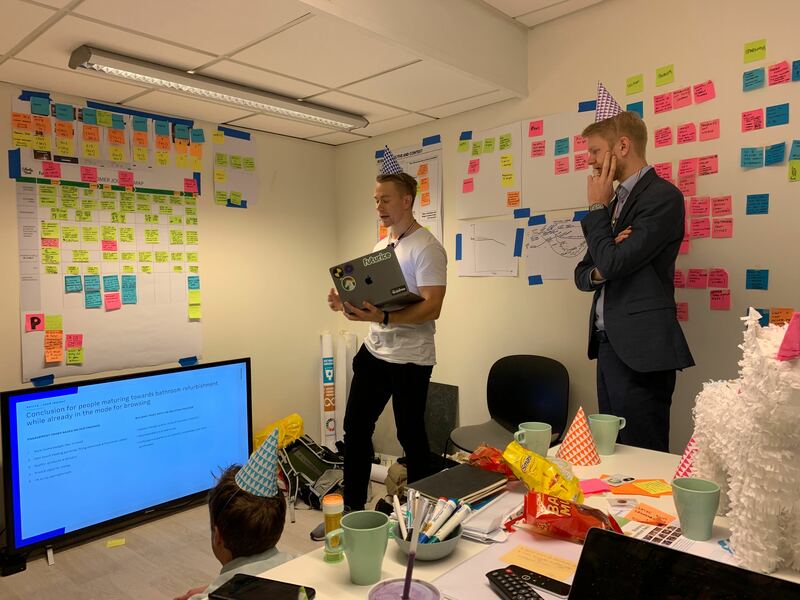 We celebrated the co-founders' birthday with a piñata and birthday hats during our final presentation, which ended in good news, as we agreed to continue working on the next phase of UX testing and validation work. Vipps recently joined forces with BankAxept and BankID, and in order to smoothen the transition of a shared culture and create high performance teams together, we’ve used a bottom-up approach to keep building on the momentum they have. Of course there's also constructive feedback that we have taken into our hearts and constantly approved. And the learning journey goes on! We look forward to carrying our current projects over the finish line this year, continuing doing great work with our clients in the new year, and seeking out exciting new opportunities to kickstart January 2019. If you’re looking for help to foster awesomeness through your company culture, speed up that digital transformation, get results out from your innovation pipeline, beat your competition with the ultimate customer experience, or experiment with disruptive services using emerging technologies, we should definitely have a chat!